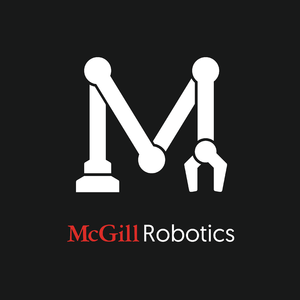 McGill Robotics is an engineering design team that builds robots for international competitions as well as organizes a robotics themed hackathon annually. The team’s goal is to foster an interest in robotics through competition, cultivate a relationship with the surrounding Montreal community, and much closer to home, to create a core community at McGill. We prioritize team bonding and growth along with engineering accomplishment, with the belief that it takes a solid team to build a winning robot. McGill Robotics currently fosters four technical projects – AUV, Drone, Mars Rover, RoboHacks – and one Business Team, who oversees team Finances, Sponsorship, Marketing and Outreach Events. McGill Robotics’ first and oldest project is designing an autonomous underwater vehicle for the AUVSI RoboSub Competition. 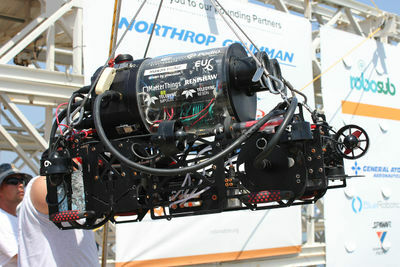 An autonomous underwater vehicle (AUV) is a robot designed to travel underwater with no operator or pilot input. AUVs are categorized as unmanned underwater vehicles (UUV), and are very similar to remotely operated underwater vehicles (ROV), which are controlled and powered by an operator on the surface. Both vehicle systems are deployed in environments that are inhospitable and difficult to access by humans. Some applications include: mapping and oceanography, research and data collection, crash investigations like Air France Flight 447, and oil and gas pipeline planning, inspection, and maintenance. Every year, the McGill Robotics AUV Project competes at the International RoboSub Competition organized and hosted by AUVSI and ONR at the SSC Pacific TRANSDEC in San Diego, California. The competition attracts student teams from both universities and high schools around the world. The challenge presented by the competition is to build an autonomous underwater vehicle that can complete a series of tasks and maneuvers that are focused on visual and acoustic navigation. These tasks include recognizing and hitting buoys, firing torpedoes through specific targets, localizing to acoustic pingers, and moving objects around the pool. The competition itself takes place in the US Navy’s anechoic pool testing facility, shown on the map to the right. Many notable companies from the robotics industry attend the competition to advertise the products they develop, as well as to network with the students competing. The top teams win prize money and the opportunity to connect with the most prominent companies in the industry. 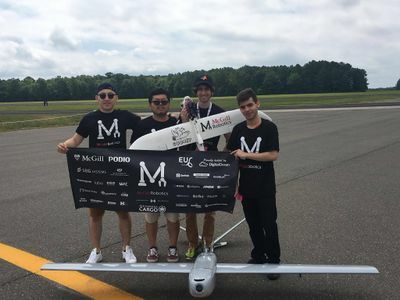 McGill Robotics' newest project is designing an autonomous fixed-wing aircraft (the drone) for the AUVSI Student Unmanned Aerial Systems competition. The drone has to complete its entire missions without the intervention of any human operator, showcasing the potential uses of autonomous aircrafts for aerial reconnaissance, package delivery, geographic mapping, as well as search and rescue. AUVSI Seafarer’s SUAS competition has been held yearly at Naval Outlying Field Webster in Maryland since 2002. The competition is meant to encourage students’ participation in the design and development of Unmanned Aerial Systems (UAS) and increase general interest in UAS technologies and careers. The competition asks participating teams to work on a design which can navigate autonomously, use onboard sensors to identify various forms of targets, and execute a specific set of tasks. 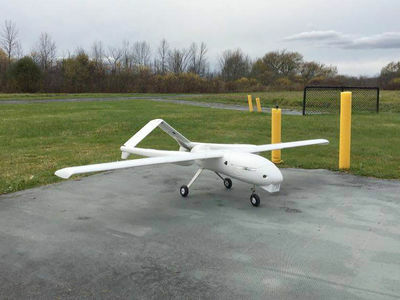 AUVSI SUAS also places significant emphasis towards reporting properly on the design and maintaining operational excellence throughout the competition. Mars Rover Project is created as the second project after AUV. The Mars Rover Project aim to build a tele-operated space exploration robot (the rover) for planet Mars. 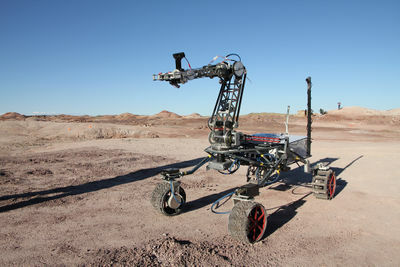 During the competition, the rover is expected to perform tasks such as autonomous traversal, equipment servicing, tool retrieval and delivery, as well as soil sampling and analysis. 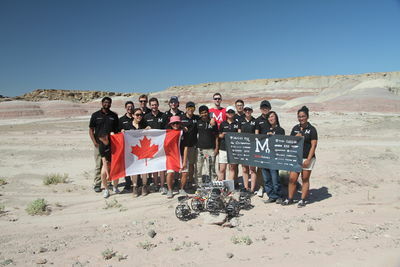 The Mars Rover competes in two competitions: URC, and ERC. The University Rover Challenge (URC) is the world's premier robotics competition for college students. Held annually in the desert of southern Utah in the United States, URC challenges student teams to design and build the next generation of Mars rovers that will one day work alongside astronauts exploring the Red Planet. European Rover Challenge (ERC) is Europe’s largest space and robotic event held in Podkarpackie, Poland, directed towards the representatives of science and business, new-tech sector and the general public. 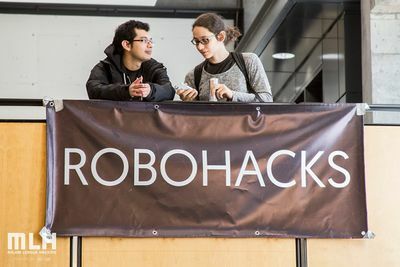 RoboHacks is a robotics exhibition and hackathon hosted at McGill University, Montreal. As the largest MLH-sanctioned robotics hackathon, RoboHacks is McGill Robotics' largest outreach initative each year. Every Spring, 250 awesome CEGEP, Undergraduate, and Graduate students come together for powering through 24 hours of thrilling caffeine-fueled invention and engaged learning related to the field of robotics. For 24 hours, RoboHacks aims to cultivate the perfect environment to spark learning, innovation, and a whole load of fun. This page was last edited on 16 March 2018, at 22:53.